Director Jon Amiel's feature "Creation", a film on evolutionary theorist Charles Darwin, will open the 34th Toronto Film Festival, Sept. 10. "This intimate look at Darwin puts a human face on a man whose theory remains controversial to this day," said Toronto fest director/CEO Piers Handling. 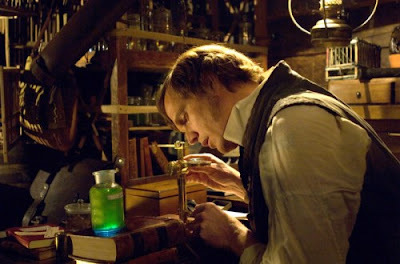 Produced by Jeremy Thomas, the bio-pic stars actor Paul "Gangster One" Bettany as the English author of "The Origin of Species", with Jennifer "A Beautiful Mind" Connelly playing his wife 'Emma'. The screenplay by John Collee adapts the book "Annie's Box," written by Darwin's great-great-grandson Randal Keynes. The film was developed by the Recorded Picture Co., BBC Films and the UK Film Council. This year's TIFF announced three galas and 19 special presentations. Galas include Aaron Schneider's "Get Low," starring Robert Duvall, Bill Murray and Sissy Spacek, the biopic "Max Manus," focusing a Norwegian resistance fighter and Lee Daniels' "Precious: Based on the Novel 'Push' by Sapphire." World premiere features currently seeking US distribution rights through this year's TIFF film market include director Neil Jordan's "Ondine," starring Colin Farrell, "Solitary Man," starring Michael Douglas, "Cracks," starring Eva Green, "Leaves of Grass," starring Ed Norton, "Valhalla Rising", romance "The Vintner's Luck", Raoul Peck's "Moloch Tropical" and Bruce Beresford's "Mao's Last Dancer," starring Joan Chen. Special presentations include Steven Soderbergh's "The Informant! ", Jane Campion's "Bright Star", Rachid Bouchareb's "London River"; Bong Joon-ho's "Mother", Yousry Nasrallah's "Scheherazade Tell Me a Story", Bruno Dumont's "Hadewijch" and Catherine Corsini's "Partir".